The study by researchers at King’s College Hospital and the University of Southampton suggests that adding nutraceuticals to chemotherapy cycles may improve the effectiveness of conventional drugs, particularly in hard to treat cancers, such as pancreatic cancer. 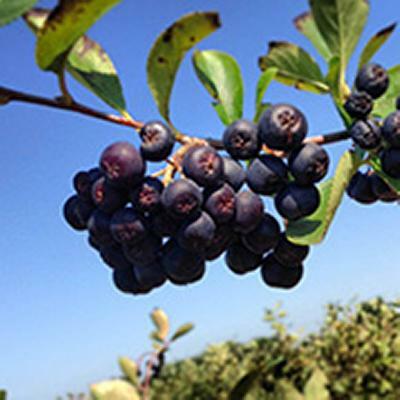 The team tested the effectiveness of extract of chokeberry (Aronia melanocarpa) in killing off cancer cells, probably by apoptosis (programmed cell death) as markers of early apoptosis appear in treated cells. Chokeberry is a wild berry that grows on the eastern side of North America in wetlands and swamp areas. The berry is high in vitamins and antioxidants, including various polyphenols—compounds that are believed to mop up the harmful by-products of normal cell activity. The researchers chose to study the impact of the extract on pancreatic cancer, because of its persistently dismal prognosis: less than 5 per cent of patients are alive five years after their diagnosis. The team believe that more clinical trials are now needed to explore the potential of naturally occurring micronutrients in plants, such as those found in chokeberry. Similar experimental studies, indicating that chokeberry extract seems to induce cell death and curb invasiveness in brain cancer, as well as other research, highlighting the potential therapeutic effects of particular polyphenols found in green tea, soya beans, grapes, mulberries, peanuts and turmeric, show potential, Dr Lwaleed adds. The study was funded by The Ministry of Higher Education, Malaysia and Have a Chance Inc, USA.